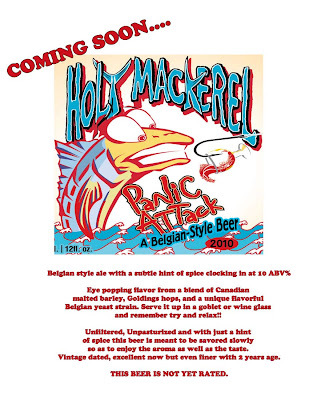 "Panic Attack is a Belgian - Style 10% Amber Ale with a subtle touch of spice. With a nod to my Canadian heritage this is a beer made with Canadian Malted Barley , Goldings Hops , and of course a Belgian yeast strain. We are using Honey Malt which gives the beer guess what ? A honeyish flavor." Get your Fourth of July started early and try this great new beer. Live music will be provided by Killing Time and Bohdi. If you can't make this release party their will be another held soon at Hurricane Grill in Plantation. Keep your eyes open for details.